James Malcolm Maclaren (always known as Malcolm) was a world-renowned geologist and mileage millionaire. He was born in New Zealand and travelled the world as a consulting mining engineer. He was a specialist on the mining of gold, silver, lead, zinc, tin, mercury, copper, china clay, bauxite and phosphate. It was on his advice that many Cornish mines were closed during the early years of the 20th Century, most particularly the 1920’s. He married Harriett, the elder sister of C C Vyvyan, the travel writer. These ladies were of the Williams family of Caerhays and the Powys-Rogers of Stanage Park. Malcolm Maclaren died at the family home of Burncoose, Cornwall in 1935 and is buried at Gwennap Church. His parents, James Monteith Maclaren and Janet MacNeil were both born in Scotland. James Monteith was born in Braes of Balquhidder in 1837, and his family moved from this desolate area to Edinburgh in his young years. This move was a result of the notorious Highland Clearances, when many crofters were moved from their tenanted cottages by their landlords. As he matured, James studied at Glasgow University and worked for an engineering firm in Glasgow for 5 years. But he was of such delicate health with weak lungs, that the family decided they should send him to relatives in New Zealand where he would fare better in the climate there. Many Scots had gone before them to take part in the Gold Rush. James parents, brothers and sisters remained in Edinburgh and never moved to New Zealand, so James journeyed alone to New Zealand in 1864 on the ship ‘Brechin Castle’, landing at Dunedin. He soon began working for the Otago Provincial Government, which was involved in mining in Otago and the West Coast. By 1868, James had moved to Thames, the fastest growing town in New Zealand because of it’s mining activities and was appointed the Engineer in Charge of Thames District by the Auckland Provincial Government. He married Janet Adam McNeil in 1872, when she was 18 and he 35. Janet’s family were from Glasgow and had emigrated to New Zealand in 1869. Janet’s parents, Daniel and Margaret (nee Inglis) McNeil, were confectioners and so it seems that James met their daughter at the store while he had finally begun to get a well-paid job and was ready to settle down. She was remembered by her granddaughter as being five feet nothing and plump but had the same electric blue eyes as her husband, so it is no surprise that these piercing eyes were passed on to their son, Malcolm. Interestingly, grey eyes featured in her grandchildren and great grandchildren. So, it was in Thames, amongst many fellow Scots, where familiar accents and hotels such as the ‘City of Glasgow’ made it feel like the old country, that they raised their family. Their first born was James Malcolm Maclaren on the 28th October 1873, although his father did not register him for six weeks. He became the famous and well travelled mining engineer. The Maclarens had six children in total, two of whom died quite young in July 1881 from scarlet fever, during a time when the Thames Schools were closed in a bid to rid the community from this dreadful outbreak. Their son Jack was also a mining engineer but became an invalid following a bout of blackwater fever while he was prospecting alone in the bush. Meg married Ned Wylie and Jessie remained unmarried and was also an invalid, although it appears that she many have been something of a hypochondriac. The Provincial Government was abolished in 1876 and James rapidly found work in the Government Survey Department, mapping goldfields. By 1878, he had been appointed Inspector of Coal and Gold Mines in the North Island. He was also an active Freemason at his Lodge in Thames. Although well respected in this job, the career choice was to become very stressful for James Monteith Maclaren. He had many run-ins with the newly appointed Warden of the Te Aroha Mining District, Harry Kenrick. That he tried to deprive the Inspector of Mines of the Office of Inspector of Coal Mines. Maclaren and Kenrick had many clashes which ultimately went higher than their pay grade and resulted in James’s suspension, with his pay being stopped at one point. This suspension would appear to be unfair, but it resulted in James becoming dangerously ill with piles, congested liver and acute bronchitis, which had flared up again. The main bone of contention appeared to be the registering of claims and the rights of miners. The stress killed Kenrick, while James eventually had his three months pay returned and from 1888 he began working privately as a consultant mining engineer. In 1890 he was appointed Engineer in Charge to Thames, where he remained for 20 years until 1910. Details of the problems can be found here, most particularly Page 87 onwards, although there are mentions elsewhere in the document. 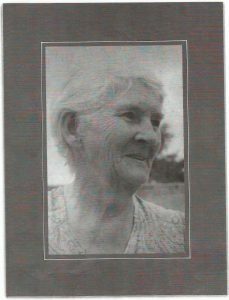 Janet’s mother, Margaret Inglis MacNeil, lived with them both following her own husband’s death from senility and heart failure. It appeared that Margaret had been working in a domestic capacity for James and Janet. James Monteith died at 86 on the 16th May 1924 after having suffered from senile decay and a bad heart for over 5 years. Janet died on the 15th July 1936 aged 83 at a private hospital of heart failure. They had not seen their son Malcolm Maclaren for many years. They are both buried at the Shortland Cemetery, Thames. James Malcolm Maclaren was born in Thames on the 23rd October 1873. The family lived at Parawai in South Thames and the children were schooled in Thames. 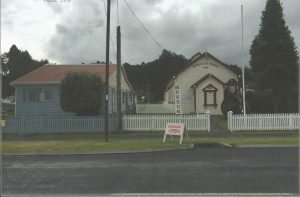 Malcolm and his siblings attended initially the oldest school in Thames, the two roomed, Parawai Public School. At 14 years old, Malcolm went to Thames High School in June 1887 from where he matriculated in 1890, winning the Junior Scholarship Senior CCS with Honours. At the Thames School of Mining in 1892, he won The Presidents Medal and School of Mines Medal. Here he studied under James Park, who later became the Professor of Mining at Otago University. James Park was the father of ACM Keith Park, who controlled the Battle of Britain during World War II. During 1893, money was short in the family probably due to the problems his father was having with Warden Kenrick – ( see above) and on the 13th February, James Malcolm began working at the Bank of New Zealand in Thames. 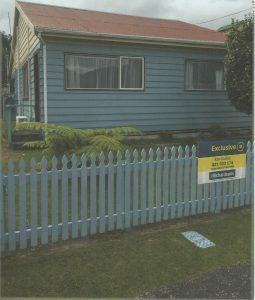 On the 10th March he was transferred to the Auckland branch of the Bank. He was transferred back to Thames on the 22nd August and resigned on 30th June 1894. While Malcolm was earning this extra money for the family, he was also taking evening classes at the School of Mines and obtained a University Scholarship from there. He was offered 10 weeks teaching at the School of Mining as he was respected so much. 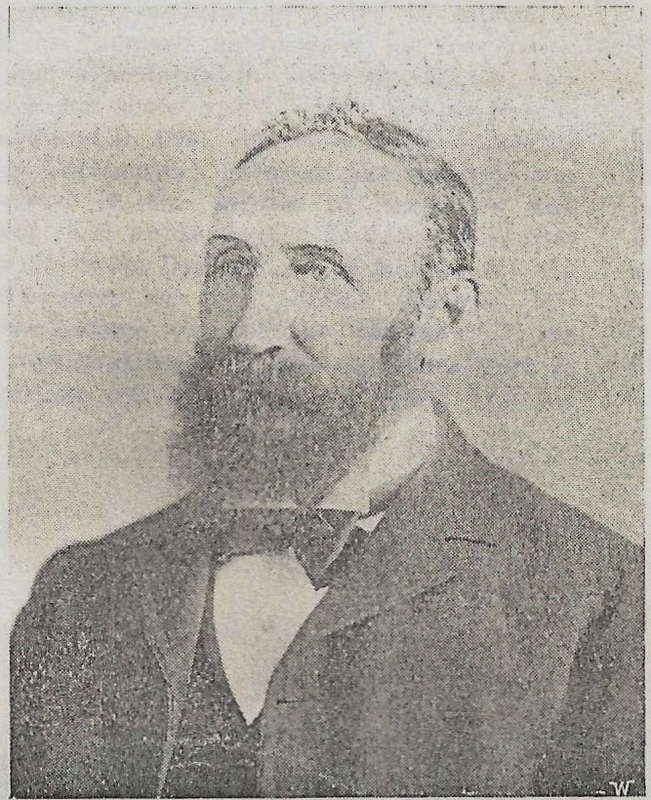 Between 1895 and 1896 James took up his scholarship at the Otago School of Mines where there was renewed interest in mining as gold dredging was now booming. Malcolm moved to Auckland in 1897 where he attended the University College obtaining BSc Hons Geology and a prize for a Senior Scholarship, the 1851 Exhibition Science Scholarship. He had studied here under Professor Thomas and they wrote letters to each other regularly. Examination papers were always marked in the UK and Malcolm’s manuscript was sent by ship. In the style of a novel, the ship was wrecked off Cape Horn and his papers would never arrive at their destination. The University of New Zealand decided that substitute exams held by constituent colleges would suffice. Latin was a compulsory subject and because Malcolm was weak in this subject he failed. Nil desperandum, Malcolm studied hard, passed Latin and achieved his Senior Scholarship in Geology. As you are no doubt already aware, I was “ploughed” in Latin, much to my astonishment, I must confess, for Prof Tubbs appears to have adopted an unnecessarily high standard. I suppose he thought the honour of the University was at stake. Apart from the bitterness of failing I am glad to have another chance for the scholarship from an examiner and not a hole and corner way in which I would otherwise have held it. He was one of a group of outstanding students who studied under Thomas and could stand shoulder to shoulder with them. He was proud of his degrees and prizes and he culminated his achievements in a DSc in Geology achieved in 1907, Auckland’s first. During these studies and exams, Malcolm became the first Director of the Coromandel School of Mines in 1898 before he resigned on the 1st July 1899. He had been offered a job as Mining and Geological Surveyor to the Hauraki Group of Mines before he did a six-month stint from January to June 1900 as the Assistant Geologist to the New Zealand Government. His father was very proud of him. In April 1901 Malcolm arrived in London ready to take up the 1851 Exhibition Science Scholarship, which he had won in Auckland. He was to study under Judd at the Royal School of Mines. There was a delay here when the School insisted that they had no record of Malcolm’s Scholarship entry and when the paperwork was eventually found, it was at the last minute and Malcolm was at the point of returning to New Zealand. Once he began his studies, he was not impressed with their treatment of him and decided that he would only study for one year and not the three for which the Scholarship was intended. He was also elected Fellow of the Geological Society in London in 1901, while he was at the Royal School of Mines. …whatever opening the future may have for me, it will be something connected with gold. It must be assumed that Malcolm was already becoming well known for his knowledge and achievements even at 28 years old. He was a good all-rounder and had a very high IQ. Although he was a short, stocky man, reports are of him being between 5’5” and 5’8”, with dark brown hair and a tremendous moustache, of which he was very proud; it was his bright, ice blue eyes which made him instantly memorable. His eyesight was not so brilliant, and it did worsen with age. It might also be deduced that Malcolm was a very lucky man, who was often in the right place at the right time. Malcolm travelled widely during this time, including Scotland, Wales and Cornwall and almost the rest of the world. In 1902, Alexander McKay, the New Zealand Government Geologist was declared medically unfit for field work. The New Zealand Government offered the position to Malcolm at a salary of £600 per annum. At the same time, he had been offered the job of Mining Specialist Geological Surveyor in India at a salary of £1000 per annum and sensibly Malcolm travelled to India to take up the position in September 1902. I have to acknowledge receipt of your letter of 18th March containing details of position with regard to the vacant post of NZ Govt Geologist. In reply I, may state that I have decided not to make application at either £600 or £700. The latter figure means at the time of offer a sacrifice of at least £300 per year and more at the present time, but as I have pointed out before, I am under a deep sense of obligation to the N Z Govt. It seems to me, however, that the action of Govt. in calling for applications releases me from any obligation with respect to my last offer, and as £600 will only be half my prospective salary for the next year or so, I cannot reasonably be expected to apply at that figure. While I am extremely gratified that you should have offered the appointment to me I yet think that calling for applications, and widely advertising the vacant position, is the best way of securing the best man. 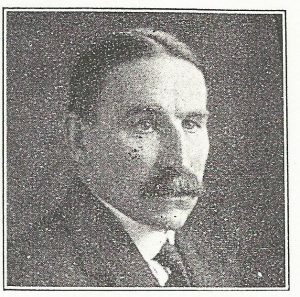 So, it was that James Mackintosh Bell was appointed to the position of Government Geologist in New Zealand in November 1904. There were 57 applicants for the £600 post. 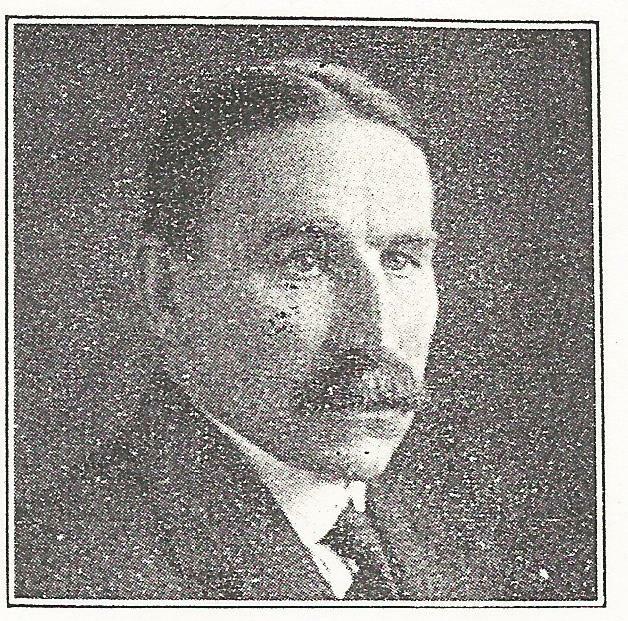 Bell’s title was changed to Director of the New Zealand Geological Survey as a sweetener for the lack of remuneration. To put the salary in perspective, the Minister offering the post was earning only £800 p.a. The Prime Minister only earned £1600 p.a. While the negotiations had been going on, James Malcolm Maclaren had also had an offer from the Belgian Congo of £1500 p.a., which he did not accept. Malcolm finally resigned from the Geological Survey of India in 1906, sure in his belief that he could earn in excess of £2500 p.a. as a private consultant. He spent the following two years travelling the world researching his book, Gold. Gold, by James Malcolm Maclaren was first published in 1908 and is still available. Although, clearly some of the information has now been updated, it is still informative geologically and historically. It runs to 700 pages with 278 illustrations and one colour plate. The maps and diagrams drawn by James are not only good, but functional. The book was received well with excellent reviews from well-respected journals and organisations. The research helped James Malcolm Maclaren gain a DSc from the University of New Zealand for his work on the Coromandel Goldfields. Malcolm was clear that he had written up much of the research from the miners who were at each mine, Malcolm not having enough time to research each mine himself. Charlotte Harriett (always known as Harriett) was born on the 26th August 1882 in Australia at the family cattle ranch, Stanage, Toorilla Plains, Queensland, to Charlotte (nee Williams of Caerhays Castle) and Edward Powys Rogers of Stanage Park. When she was young, the family moved back to Burncoose in Cornwall, while their father travelled back to Australia at various times, sometimes accompanied by the family and sometimes alone. 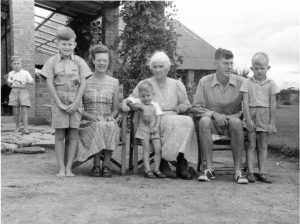 As the family grew, the children would sail back and to between Australia and England, amongst their many other travelling adventures around the world. It was on one of these Australia sailings that Charlotte Harriett Rogers and James Malcolm Maclaren met and conducted an on-board romance. The boat was going from England to Australia and Harriett and her sister Clara (C C Vyvyan) were travelling to stay with their father at the ranch for a few months. Malcolm managed to charm Harriett, even though he was more than 3 inches shorter than her and ten years older. Harriett, like her sister Clara was just over 5’10” and beautiful. Malcolm often went without his glasses and his bright blue eyes were attractive and hypnotic and the pair appeared to hit it off. Malcolm spoke seven languages, had considerable artistic ability and a high IQ. He had every intention of earning money and travelling the world and this interested Harriett, an intelligent and much travelled woman herself. Her sister Clara was less than impressed with Malcolm. Malcolm told Harriett of his book and his travels and adventures. He also told her about the money he sent back to New Zealand to his parents. It was 1909 and his father James Monteith was to retire from his government position within a year and his maternal grandmother was also living at home. Malcolm needed more time to set his family up before he could consider marriage. They did reach an understanding, however. Harriett was an excellent musician, singer and artist and had already travelled widely herself. Her family, wealthy gentry who owned a castle and mansions, were involved in mining in Cornwall. Harriet and Clara continued to the cattle station and James to his mine meetings. They corresponded regularly. Charlotte Rogers, Harriett’s mother did not approve of James Malcolm Maclaren, considering him common. Malcolm often visited the family at Burncoose in Cornwall, part of the Caerhays Estate and got on with his future father in law Edward Rogers and the Williams of Caerhays cousins. Malcolm was a good shot and often went shooting on the estates for snipe, pheasants etc. He and the menfolk could discuss mining and Malcolm advised the family on mine shares and investments. Charlotte (always a snob – but a kind one) was won over. The couple married on New Year’s Eve 1912 at Gwennap Parish Church and began their life travelling the world. A marriage of interest to many folk in Kalgoorlie is thus described by the “Royal Cornwall Gazette” The marriage of Miss Charlotte Harriett Powys Rogers, eldest daughter of Mr. E. Powys Rogers, of Toorilla, Queensland residing at Burncoose, Perranwall. To Mr. J Malcolm Maclaren, younger son of Mr. J. M. Maclaren, of Thames (N.Z. ), was solemnised at Gwennap Parish Church on Tuesday. Much local interest was manifested in the wedding, and the church was crowded some time, before the bridal party arrived. The bride, who looked very charming in her trousseau of deep ivory charmeuse and crepe chiffon. with a Court train, lined with silver throughout and trimmed with silver roses and Brussels lace,(the gift of Mrs Pocklington Coltman), was given away by her father. She carried a beautiful bouquet of carnations, white heather, and fern, tied with MacLaren tartan ribbon. The bridesmaids were Misses Clara and: Naomi Powys Rogers (sisters of the bride), Gwladys Rogers, May Williams and Mary Arnott (cousins), and Miss Davies Gilbert, who wore dresses of deep ivory satin and tinted lace, with waist belts of deep rose. chiffon, old gold plait and posy of small Banksia roses, with head-dress of small Banksia, roses and gold tinsel net. They also wore pendants of New Zealand green stone, Queensland pearl and Cornish diamonds, the gift of the bride groom. The charming group were provided, with bouquets of white chrysanthemums and fern tied with broad ribbon of the Maclaren tartan, Mr. Edward Loring, London, was groomsman. 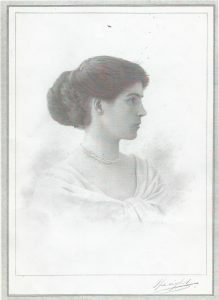 Mrs. Powys Rogers was attired in a charming. dress of violet chiffon velours and toque to match, and. carried a bouquet-of purple orchids. The service, which was choral, was conducted by the Bishop of St. Germans assisted by the Rev. J. L. Parker, MI.A., vicar of Gwennap. The church had been beautifully decorated and presented. a pleasing appearance with its adornments of plants and flowers, mostly chrysanthemum ferns and palms. An awning was erected from the entrance to the south porch, while a crimson carpet was laid to the altar steps. Mr. McLaggan, the organist played as voluntaries Wagner’s Bridal Chorus and Mendelssohn’s Wedding March and the hymns ‘The voice that breathed o’er Eden’ and ‘O Perfect Love,’ were sung. After signing the register Mr and Mrs. Maclaren returned by motor car for Burncoose, entering the ground ‘under a triumphal arch of evergreens intertwined with the national colours. A crowd of well wishers gave them a hearty send-off from the church. Mrs. MacLaren is very popular in the district by reason of her good works. among the sick and poor and she has also been great help at Gwennap Sunday School. The reception at Burncoose was largely attended. A splendid scheme of decorations had been carried out in the house and the conservatory was fitted up with fairy lamps which when lighted in the evening made a charming display. During the afternoon the happy couple left for honeymoon and will leave England for Burma about the middle of January. The bride’s travelling dress was a coat and skirt of dark red cloth with a black and white brocade hat. Much information was left in the diaries which Harriett kept and some of the following stories has been gleaned from them. On New Year’s Day, the couple began their honeymoon at Trevenith Cottage, Ruan Minor, Cornwall. They remained there until the 10th January when they returned to Burncoose. Three days later they were in London, staying at some Williams relatives until they left by train, boat and train to Paris. They sailed to the Mediterranean where Malcolm was feverish and ill, it took him several days to recover. They were travelling with Sir William Conyngham Greene, who had just been appointed Ambassador to Japan, and Harriet notes the flying fish and whales that they all saw. By mid-February they were visiting mines in Burma where they remained for three months. Harriett would always write out the reports for Malcolm, a habit she kept up until his death. They went to Rangoon, Singapore and Bali. They endured rough seas in small ships, Harriett was unperturbed, and Malcolm would regularly feel sick. He was often tired and ill while at the mines, enough so that Harriett recorded the fact. She sometimes said he had a fever or cold or cough, they had only been married for a few months and Harriett was very healthy and pregnant. Once they dined with the Faulkners from Shropshire and where shown the Stanage plate they possessed, Stanage being the ancestral home of the Rogers family. They fished and watched the bird life, those they did not draw, they shot, using pistols and rifles. Harriet was often playing her piano. One day Harriet saw a waggon being drawn by 21 donkeys, while Malcolm was working in the mines. He would receive a telegram from London telling him where next to go. He had been working for Bewick, Moering and Co. but was now employed by the Goldfields Group which had been founded by Cecil Rhodes. By July 1913 they were at Kalgoorlie and Malcolm was ill again, cold, cough and bad headaches. Harriett complained not at all even with this first pregnancy. In a relatively short time, the couple had travelled many miles and Harriett recorded much of it. It is difficult for me to write objectively about my father as I did not like him very much. No doubt I was an unattractive, tiresome child but I could do nothing in his eyes and he was always picking on me. It wasn’t till long after I was grown up that I realised what must have been the cause of this animosity. Neither he nor my mother ever wanted a daughter and to have a girl as their first born must have been an unpleasant shock! Of course, nothing was known of psychology in those days and in any case, they quickly rectified their mistake by producing Edward (in Korea) only 20 months later! Incidentally, so anti girls was my mother that she got really acid with people while I was waiting to produce Richard, “Oh Mrs Maclaren, now you have 6 grandsons aren’t you just longing for Jean to have a sweet little girl?” “Certainly not!” was the reply. Charlotte’s brother Michael met them and spent a good deal of time with the Maclarens, Harriett noticing how depressed he was about the cattle. Malcolm accompanied Michael on many shooting and fishing expeditions until Dr Voss allowed Jean and her mother to accompany them. Harriett was also in constant letter contact with her family back in Cornwall. It was not until 7th December that Harriett received 21 letters of congratulations on Jeans arrival. They soon suffered the sad news that Harriet’s sister and Naomi and brother Harry had both died. Naomi from an asthma attack and Harry on a ship. Malcolm continued his work with the mines but was now given a special role as the Great War approached. The British Government gave him the job of travelling the world and purchasing all the available Wolfram (Tungsten). He had to journey incognito as an American businessman in order to attract little attention. There are few records of his capers in this regard, for obvious reasons. Malcolm never talked much to his family about this part of his life, although he did mention that he was in Spain for a good part of that time. He also maintained his private work as a consultant mining engineer and he and Harriet kept up their travelling. Their son Edward was born in Korea on 24th June 1915 and it was here that Harriet had to milk a goat in order to supplement the boy’s food. The goat was not used to being milked, but Harriet would not be dissuaded. Malcolm continued to work for the British Government after the War. He advised on the mining problems that were occurring following the changing of national boundaries. Their second son Colin Neil was born on the 25th October 1917. The family moved to Chyrose, Redruth from where Malcolm continued to travel the world. Of course, they did have Margaret later on but that was a different matter. She brought a twin brother with her and she was a lovely pretty model child. I can just remember her the days the twins were born. Peter was quite bald, but Margaret had lovely dark curls. Harriett’s father was ailing with his final illness (He died in February 1920) and her mother Charlotte now needed company. My father was said to be a fair shot in spite of his poor sight, but he had to have something special done to his gun before he could use it. When we were young there were 2 tiger skins taking up a lot of floor space in the drawing room at Burncoose. We hated it because it was a crime to step on them. He had shot them from a hide up a tree in Burma. They’d been menacing the neighbouring villagers. But he also did a lot of partridge ad snipe shooting in Cornwall. My snobbish Grandmother was upset at her Harriett marrying a colonial, but all the Williams men cousins liked him because of his shooting and also because of his mining knowledge. They still had many mining interests then. He was passionately interested in cricket – the only interest I had in common with him – but I doubt if he would have been much good at it – his sight was too poor. …we perhaps are not taking into account the customs of the time when that incident occurred. No man living at this time in a house the size of Burncoose would have anything to do with domestic arrangements – in fact I doubt if he ever went to the back parts of the house. After all there were at least 4 servants in the house plus nannies and governesses. In any case, none of us kept the same bedroom all the time of our childhood. He did take a great interest in the children but I’m sure Mother came first, second and third, as, of course, he did with her. Then obviously a lot of the time he wasn’t at home because most of his work was outside the UK. The children always referred to their parents as Daddy and Mother. Having produced 5 children in less than 7 years, Harriett and Malcolm decided their family was complete. Harriet was almost 40 and Malcolm almost 50. Although in his later years most of his work was in gold mines he never really gave up on other minerals. For instance, many of the last of the great Cornish tin mines were closed because of his reports and I think this must have been in the late twenties. These mines had to be closed because a) tin prices fell because of the cheaper production costs of tine from the streams in Malaya and b) because of the increasing cost of pumping as the mines got deeper. In 1920 Malcolm prepared the report which finally closed the Dolcoath Mine when the mine was almost worked out and the tin price had collapsed. During his working life Malcolm travelled the entire world with the exception of Russia. In each continent Malcolm visited many towns and many rural districts, that being where the mines were based. He visited most places more than once and often received telegrams from his office telling him where to go next. He regularly did not make it home for months on end. Harriett often recorded in her diary that Malcolm had just returned from somewhere looking tired and ill or that Malcolm must leave again. In 1926 he visited Africa and managed to clock up 6000 miles while travelling by train and car. In the 28 months from August 1932 to December 1933, Malcolm spent only 2 months at home. It was by 1929 that he became a mileage millionaire, second only to J H Curle, the famous philatelist. During his working years he held the proud title of ‘second most travelled man in the world. My mother was very proud of this. It meant that (except for the No 1 traveller who was an American millionaire called J H Curle) he’d travelled more miles by land and sea than anyone else. On one of their last trips to Africa, Harriet achieved the record for having been deeper in a mine than any woman. She went down 7522 ft in Witwatersrand mine, South Africa in 1929. During his last journey Malcolm became ill in Western Australia, but he remained professional, completing this contract and another one in Victoria. He spent some time at a hospital in Australia and then sailed home, hoping that the journey would cure him. He came back to Burncoose to recuperate after an operation in a London Clinic where he was diagnosed with a serious lung condition during January 1935. Sadly, he became worse and died on the 13th March and was buried at Gwennap Church, in a service conducted by the Rev J E Durch. 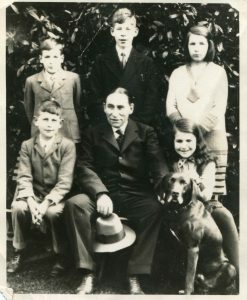 Harriett and her four surviving children – Neil had died in May 1932 at his school. Harriet’s brother Michael, who now lived at St Columb and her sister Lady Vyvyan, now at Trelowarren. The Williams cousins from Caerhays Castle and Scorrier House. Also, the Bolithos, the Beauchamps and many of Cornish society families. There were several members of the Burncoose servants present too. Although he was not teetotal like my mother, I don’t think he was very keen on drink. I can remember Bass (for the men only on shooting parties or fishing trips) one decanter of whiskey and strangely Van Der Hum! But I imagine nothing was drunk unless there were visitors. Drinking to excess would have been quite out of character with his disciplined and strict nature. He did smoke quite a lot of cigars so they may have been the cause of the lung cancer from which he died. He took ill in West Australia and was in hospital with a kind of nursing nun but returned to England to die. He was in the London Clinic and then went home to Burncoose for his last week or two. It seems very obvious that Daddy had a very high IQ – I would guess in the genius bracket and was something of all-rounder. He must have had considerable artistic ability because his plans and maps and diagrams were really beautiful as well as functional. Then he was reputed to have spoke 7 languages and his use of English was accurate. True he was tone deaf as were all five children. This must have been a trial to Mother who was keen on music and played the organ as well as the piano. He was a very skilful carpenter and really professional at French polishing. Mother used to buy furniture at auctions and he renovated it beautifully. He got quite a lot of publicity because he had a friend on the Daily Mail who was always ringing up. I got beaten once for telling that man not to be silly and hanging up on him. All his exploits were reported in the New Zealand papers – much to his mothers’ pride. In fact, he was considered one of New Zealand’s most famous sons. He was also an ornithologist, a practising Christian and managed on 4 hours sleep each night. He studied Cornish genealogies and history and kept bees, was good with machinery and mechanics. There were so many obituaries in all the well-respected journals and there is only room for a few extracts here. 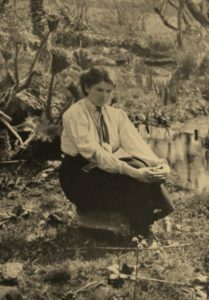 Following Malcolm’s death, Harriett moved to Lenowith, Feock, before she moved to Africa in 1948 after her own mother had died, to be with her daughter. Her three sons had all died tragically and her two daughters were happy to have her. Harriett died in 1964 and is buried in the family graveyard there. With great thanks to the surviving descendants of the Maclaren family, without whose help this article could not have been written.